Bodger and Badger creator Andy Cunningham has died from cancer at the age of 67. The well-loved children’s TV presenter passed away on Monday (June 5) at the Royal Sussex County Hospital in Brighton. Andy was best known for starring in the BBC show in which he played handyman Simon Bodger and voiced his mashed potato-obsessed puppet badger. His sister Tessa said he “lived to be loved and to make people laugh, starting with me, his little sister”. Comedian Charmian Hughes wrote on Facebook: “So sad to hear Andy Cunningham has died. I first met him doing his magic show when I was being a terrible clown at the same event and we were near neighbours in Islington. He was so sweet and kind and full of advice. Ventriloquist Andy Williams also paid tribute to the puppeteer and magician, writing: “Thanks for the laughs Sir. Tonight I shall have Mash Potato”. 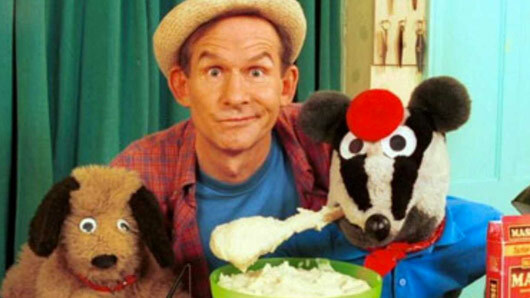 Andre Vincent sent love to his “brother” and said he would “truly miss” his Bodger and Badger co-star.